The team at Clientskey are proud to welcome our first New Zealand based client. The newest addition to the Clientskey family is “Your Cleaners” based in Auckland New Zealand. 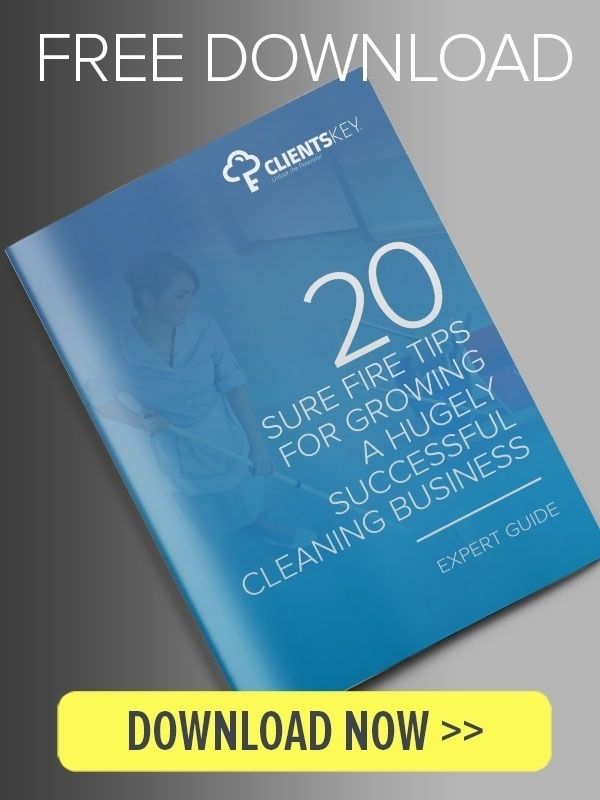 Your Cleaners, “a professional company willing to go the extra mile for all clients” have offices in Auckland and Christchurch and have been operating for over ten years. Customers include “ProMed Doctors”, “The Cat’s Pyjamas Preschools” and “Carters Construction” across multiple sites throughout New Zealand. Work orders vary from fortnightly to seven day a week cleaning. Specifications range from general domestic and commercial cleaning to specialty services such as floor maintenance, carpet cleaning, window cleaning and stock maintenance. All of this activity will now be streamlined and managed with Clientskey. Clientskey proud to be the principle technology sponsor for the ISSA Cleaning & Hygiene Expo at the Melbourne Convention and Exhibition Centre on 9-10 May 2017. As we pause to celebrate the festive season with family, friends and loved ones, Clientskey hope that your year has been a joyous, rewarding and fulfilling one. With many industries adopting new technologies to improve team productivity and share workload, it is dawn of a new era for businesses looking for efficient ways to monitor activities. And Clientskey is proud to be a pioneer in the market with an application to effectively collaborate, manage and access activities on the go. Our online activity-based monitoring application enables businesses to forego the obsolete methods of task management and introduce a new concept of specification management to their client portfolios. Cleaning industry has been our biggest cheerer all those years and our collaboration with companies such as Direct8 and Clean a Maniacs has proved to be a pivotal factor in determining the quality of our application. Therefore, Clientskey is happy to announce beta testing for our clients in the cleaning industry to make our efforts more customer focused. During the beta testing process, our clients will try out the Clientskey activity monitoring application to provide their feedback about the application to our development team. Any recommended changes will go through the approval process and will be incorporated in the final commercial release of our application. Are you excited about the final launch of our application? Stay tuned for more news. With Christmas around the corner, it’s a time to rejoice, to reconnect and to dream big. And at Clientskey, we’re planning to do all three. These are particularly exciting times here at Clientskey as our team is gearing up for the launch of our new website early next year. We’re reconnecting with our loyal customers and you will be able to access our cool, new website after the holiday season. And that’s not all! We’ve had something very exciting brewing over the last few months and our development team has been working really hard to bring users a monitoring application with no likes in the market. Our activity-based monitoring application provides real-time overview of your business and personal operations with increased visibility. You can manage activities, workload and resources using our web-based as well as the mobile application. Now, you can run your business with smarter and faster tools. With Clientskey, your workers, supervisors, clients and other external users are always on the same page. And the best part? You can access our cloud-based application anytime, anywhere with our FREE iPhone and Android Apps. Want to join in all the fun? Stay tuned. Meanwhile, Merry Christmas and have a safe and Happy New Year.